Work doesn’t have to be boring. It’s easy to condition your mind into thinking that spending hours in your job isn’t a fun thing to do. Working seems more of a requirement than a privilege or a luxury, when in fact, it can be both. Your career can be as fun and lively as you want it to be, even if it’s just in the office. Do something uncommon for work, such as standing all day instead of sitting. It may not be much of a change to incite excitement, but you’ll never know until you try. Standing while working many hours instead of sitting also has a lot of health benefits. It more or less keeps your mind active and alert as you spend the day at your desk. But how can you best do it? Here are a number of tips on how to work with a stand-up desk. First things first, do make sure that you have the right equipment. The transition from sitting to standing during work starts with getting the perfect stand up desk converter. Fortunately, Rocelco has a variety of ergonomic office furniture to choose from, from your standard stand up desks to nifty risers and converters. Whichever one you choose, ensure that your new stand up desk, however you set it up, has enough arm support. This is probably the most vital feature for any standing desk. Substantial arm support guarantees less hassle and less painful hours of standing during work. Your body won’t ache as much, and you’ll still feel relaxed as you do your job. You also have to set up the desk that’s proportionate to your height. Having your equipment within the levels of your eyes and arms make for a better and easier working environment. As with any exercise, it’s best to warm up your body before anything else. This also proves true to working while standing up. Standing for many hours in a day requires the same amount of strength and stamina as running a marathon. Your body is full at work keeping your muscles in check and your body comfortable as you go about your daily tasks standing up. It’s imperative that, even before you start your day, your body is relaxed and free from tensions. This will lead to less stress, more energy throughout the day, and ultimately, better productivity while working with your stand up desk. Standing during work doesn’t mean standing all day. No matter how you stretch or exercise before work, your body isn’t conditioned to stand all day all week. In between working hours, take a few sitting breaks, making your area a sit and stand desk. 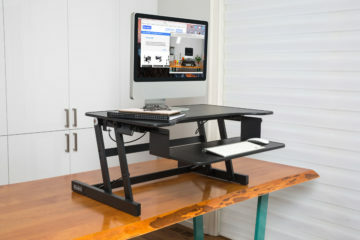 If you have a stand-up desk converter, you can easily change it from standing desk to your ordinary sitting desk. Around 10 to 20 minutes are enough to rejuvenate your body and relax your muscles without having to make them too comfortable that you find yourself too lazy to work. Taking these breaks is also good for the mind, as you let it rest before having to resume your tasks and responsibilities. And don’t worry about the work, as once you’ve gotten back up again from your sitting break, you might find that your productivity levels have increased tenfold. This will make up more than the time you spent sitting down which, possibly in your mind, should have been spent working. 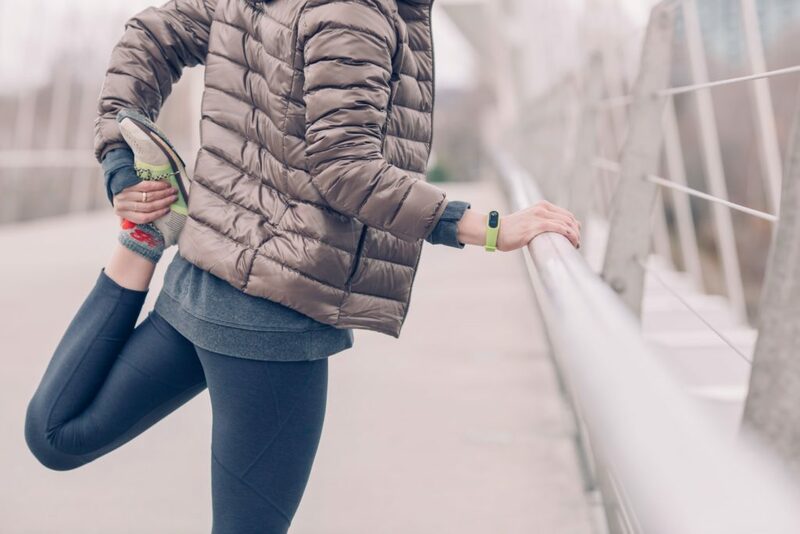 During your small breaks in between working hours, it’s also healthy for you move about. Taking a little stroll around the office will similarly help relax your muscles and your brain from all the work. But what if you’ve moved so far beyond your stand up computer desk that you’ve already taken up too much time not working? A good pro-tip is to install pop-up reminders on your stand up computer desk to get you back to work. Make sure these alerts have sound, and your computer is on full volume so you can hear it whichever part of the office room you are. If you went outside, install the same reminder alerts on your phone, so you can still be buzzed wherever you are. Despite having to work in an office for most of the day, humans aren’t supposed to be sedentary. We’re mobile by nature, so moving about during work, especially if you spend it standing up, can do wonders. You might find that standing up while working can induce more pressure to finish the work, especially since the activity requires small breaks in between. 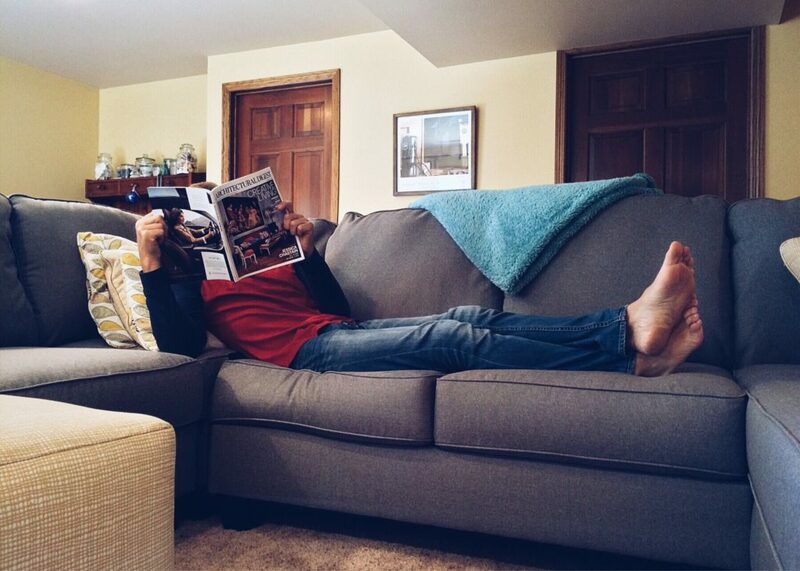 If you like finishing an entire task before taking a break, then it’s best to pace yourself. Compartmentalize all your responsibilities and classify them into the tasks that you can and can’t do for that particular time while at your adjustable stand up desk. When you’ve started working, work at a pace wherein you’re most comfortable, especially since you’re doing so while standing up. Don’t let the pressures of the big bosses or your body dictate how fast and quick you should work, else you might make mistakes and see past them without correcting them. Apart from sitting and moving breaks, actual rejuvenation is needed to keep your body healthy and alert while you’re working and standing up. Have a bite to eat drink some fluids like water or coffee to refresh your entire body. In fact, you can even do this easily while working as stand up desks usually have a lot of space for a snack or two. As you go about accomplishing your daily tasks, you’re refilling your body’s own gas tank at the same time. And when you do eat and drink, make sure the things you put in your body aren’t ones that will make it heavier and slower. Refrain from eating too sweet and sugary snacks during work, and as for the drinks, water and coffee are enough. Standing while working keeps your mind active and aware of all the things happening around you. Putting on some background music on your stand up desk converter can also do the same thing. Just a simple tune, better if instrumental, in medium volume is enough to keep your stand up desk lively and yourself alert and ready for the day ahead. The music can also help you relax as you go about a busy day at work. At the end of the day, your mind will feel refreshed and you’d most likely accomplished a productive day. Standing up while working with a stand-up desk can be nerve-wracking, especially if it’ll be your first time, but its benefits can greatly outweigh the cons and challenges. You’ll never know unless you yourself have tried it, and when you do, make sure you do it properly by following a few of these nifty tips and tricks.